Butterfly Dolls House, Family & Furniture Set | Great Little Trading Co. 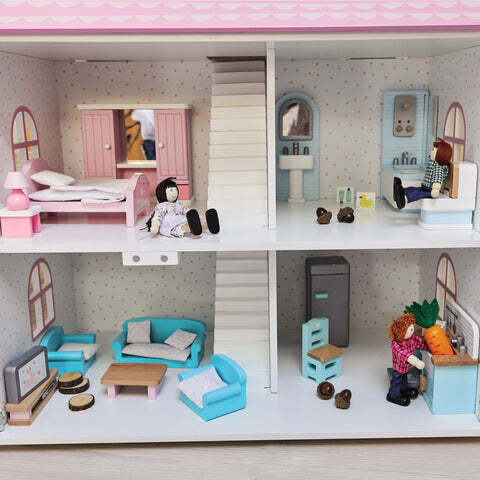 Here's everything you need to get play underway; we've teamed up this beautiful doll's house with all our bestselling accessories, so you can buy the fully furnished house of their dreams in a single click. 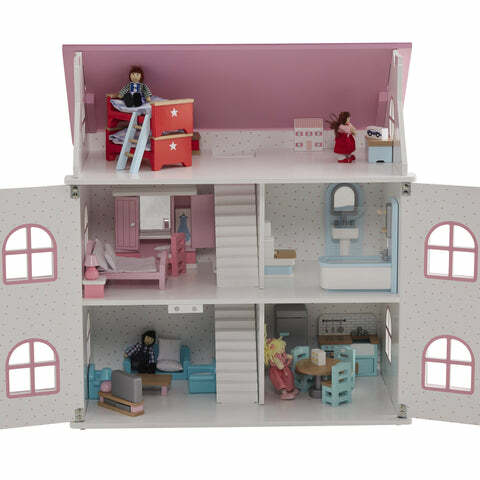 This painted, wooden play set includes the Butterfly Doll's House and the Doll's House Doll Family, plus the Master Bedroom Set, Kitchen, Living Room Set, Bathroom Set, and the Children's Bedroom Set.